When it comes to soft fruit, gooseberries have been a firm British favourite since the 19th Century, and it isn't difficult to see why. 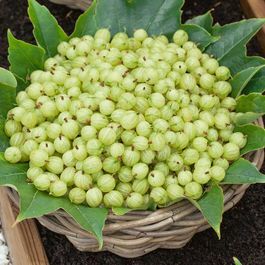 Also known as 'Ribes', the humble gooseberry is renowned for its culinary versatility, ease of growing, and strong suitability to the chilly, damp climate of the British Isles, and none more so than the Gooseberry Invicta. Previous winner of the RHS Award of Garden Merit, this superb variety has a strong resistance to disease and is a prolific cropper, producing smooth skinned, sweetly flavoured fruits which make excellent desserts and preserves. The fruits of the Invicta will appear between late May and early June, but for optimum sweetness we recommend harvesting later in the season, particularly if the fruits will be added to pies or crumbles. 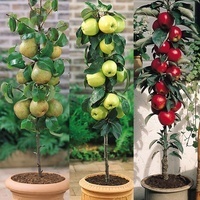 Supplied as bare rooted plants they can easily be planted on arrival in rows at around 1.5m apart. Gooseberries can be planted in fertile, moisture retentive soil in a sunny, yet sheltered location. 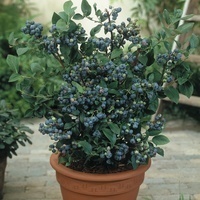 Prepare the soil in advance and put the roots of the shrub in holes large enough so that they are not too cramped. Ensure soil is filled in firmly arund the roots, and water regularly until the shrub has become established. 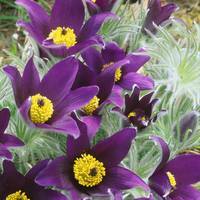 They are very robust plants that will require very little care/maintenance. You can prune back each winter to ensure that the shrubs do not become too overgrown and thus ensure easy picking for next year. 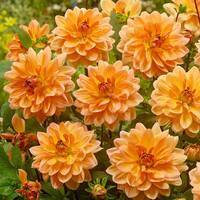 They are also suitable for growing in pots using a loam based John Innes Compost.